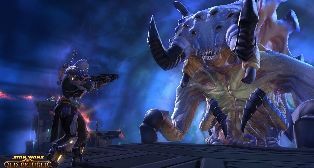 As one of the most credible MMORPGs out there, Star Wars: The Old Republic holds a special place in many people's hearts. With our Cheap SWTOR Credits program, you can get fast access to secure, safe and legitimate sources of money that isn't going to leave you out of pocket in the game itself. 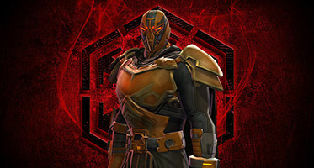 With Buy SWTOR Credits you are never going to be floating round wondering how you will afford your next piece of gear. We remove much of the stress and limitation that comes with SWTOR by making sure you can get away from having to scour and search for credits any longer! contact us with our livechat if you have any questions About SWTOR Credits! If you are an avid fan of the Star Wars movie, you'll love the game - Star Wars: The Old Republic. As we know, Swtor Credits (Also Called Swtor Galactic Credits) are the main currency in the swtor game, you can Buy SWTOR Items from the Galactic market by using the Star Wars Credits. If you are troubled by the problem of not having enough SWTOR Credits, then come to our website. MMOTANK is a professional supplier for Cheap SWTOR Credits, we will deliver the Credits you purchased to you safely and quickly by in-game mail. Please notice that the SWTOR Credits Limit is 200,000 for F2P players and preferred status players have a Credit limit of 350,000.